What I took away from these chapters is that a harrowing and confusing period in American history, World War I and its aftermath, divided those who sought social reform from those who, it pains me to say it, sought social cleansing and the rise of a new ruling class. Many of the individuals described in chapter one played a part during this time. The forces of lasting reform seem to have gone dormant in America and those for the other goal are, as yet, thwarted. Succeeding chapters will show how these latter forces strove to accomplish their agenda throughout the twentieth century. This is my inadequate review and commentary of chapters two through five. Many quotes are drawn from Professor Siegel’s book and are supplemented by original sources when necessary. A young progressive reformer, John Chamberlain, characterized the period prior to America’s entry into WWI as: “the years of Great Expectation when the Millennium, Woodrovian fostered, seemed just around the corner.” The Millennium alluded to was the thousand years of peace prophesied in the Revelation of John. It was not to be. On July 30, 1916, at 2:08 AM, saboteurs caused a one kiloton explosion on Black Tom Island off the New Jersey coast, near Liberty Island, in NYC harbor. Two million pounds of munitions on their way to the allies were detonated through a series of fires. 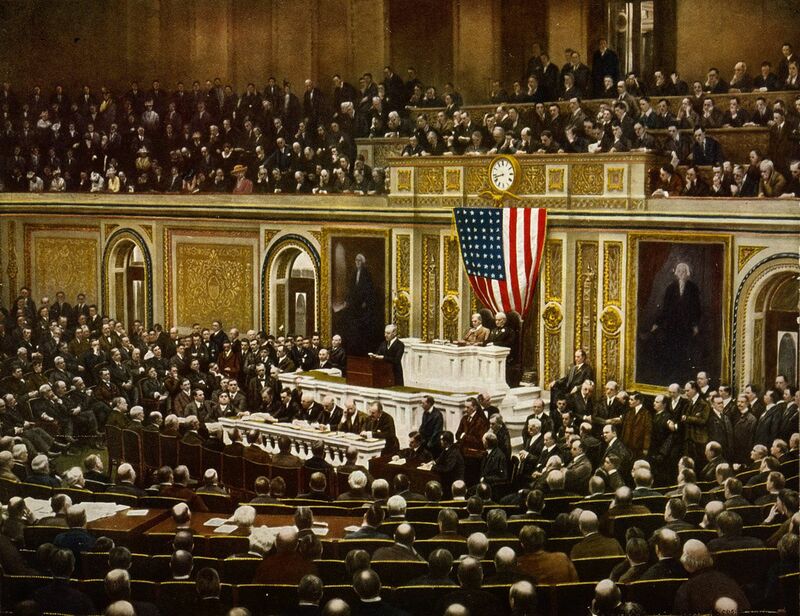 This sabotage is viewed as the proximate cause for President Wilson to denounce Germany’s supporters in America as “creatures” of “disloyalty and anarchy [who] must be crushed.” He pushed for and got the Sedition Act of 1918 passed. The Sedition Act extended the Espionage Act of 1917. Whoever,…when the United States is at war, shall wilfully utter, print, write, or publish any disloyal, profane, scurrilous, or abusive language about the form of government of the United States, or the Constitution of the United States, or the military or naval forces…or any language intended to bring the form of government… or the Constitution… or the military or naval forces… or the flag… of the United States into contempt, scorn, contumely, or disrepute…shall be punished by a fine of not more than $10,000 or imprisonment for not more than twenty years, or both…. The incongruity between Wilson’s fighting the war to end all wars to make the world safe for democracy and his curtailment of liberties at home drove a wedge between progressives and those who would soon call themselves liberals. Whereas, pre-war Progressives hoped to reform a nation of immigrants grounded in the Protestant ethic, Liberals objected to wartime conscription, civil liberties repression, Prohibition, and the first Red Scare. They saw middle class values as a continuation of WWI repressions. The most stringent protection of free speech would not protect a man in falsely shouting fire in a theatre and causing a panic… The question in every case is whether the words used are used in such circumstances and are of such a nature as to create a clear and present danger that they will bring about the substantive evils that Congress has a right to prevent. In Soviet countries there is in fact no freedom of the press and no pretense that there is. In America today there is in fact no freedom of the press and we only make the matter worse by pretending that there is. The root of liberalism, in a word, is hatred of compulsion, for liberalism has the respect for the individual and his conscience and reason which the employment of coercion necessarily destroys. The liberal has faith in the individual – faith that he can be persuaded by rational means to beliefs compatible with social good. Main Street caught the post-war literary mood of disillusion perfectly. It distilled and amplified the sentiments of Americans who thought of themselves as members of a creative class stifled by the conventions of provincial life. It is not what he [George Babbitt] feels and aspires that moves him primarily; it is what the folks about him will think of him. His politics is communal politics, mob politics, herd politics; his religion is a public rite wholly without subjective significance. In a democracy, where castes are vague, where money-power has few manifest badges of dress or standard of living; where indeed millionaire and clerk go to the same movie, read the same books, travel the same roads, and where intellectual distinctions must be carefully concealed,” it is the “herd” that rules. Three defining court cases took place in the 1920s. They were the 1924 Leopold and Loeb, 1925 Scopes, and 1926-27 Sacco and Vanzetti trials. Clarence Darrow defended the first two and future Supreme Court Justice Felix Frankfurter argued for a second appeal to the Massachusetts State Supreme Judicial Court of the third one. Each trial helped shape case-law and how justice is carried out in America. Leopold wrote to Loeb: “A superman…is, on account of certain superior qualities inherent in him, exempted from the ordinary laws which govern men. He is not liable for anything he may do.” Pleasure was their moral guide, as Nietzsche’s writings suggested. Why did they kill Bobby Franks? Not for money, not for spite, not for hate. They killed him as they might kill a spider or a fly, for the experience. They killed him because they were made that way. Because somewhere in the infinite processes that go to the making up of a boy or the man something slipped, and these unfortunate lads sit here, hated, despised, outcasts, with the community shouting. All the Leopold and Loeb trial documentation is available online. Darrow put Biblical morality on trial and survival of the fittest won. Through several witnesses’ testimony, Darrow attempted to show no moral corruption resulted due to learning about evolution. In rebuttal, Bryan turned Darrow’s logic against him. Bryan quoted the defense Darrow used in the Leopold and Loeb case to show that Darrow believed in education’s culpability in moral outcomes. If this boy is to blame for this, where did he get it? Is there any blame attached because somebody took Nietzsche’s philosophy seriously and fashioned his life upon it? And there is no question in this case but what is true. Then who is to blame? ‘The university would be more to blame than he is. The scholars of the world would be more to blame than he is. The publishers of the world—and Nietzsche’s books are published by one of the biggest publishers in the world—are more to blame than he is. Your Honor, it is hardly fair to hang a 19-year-old boy for the philosophy that was taught him at the university. The Scopes trial documentation is online. Darrow and the ACLU put Biblical creation on trial and Darwinian evolution won. The Sacco and Vanzetti case concerned whether the two were guilty of a factory robbery and killing in support of the Galleanists, an Italian anarchist group that advocated revolutionary violence, including ongoing bombing and assassination in America. Critical opinion assessed that they were railroaded because of anti-Italian prejudice and their anarchist political beliefs. The trials and various appeals were riddled with judicial and prosecutorial misconduct. Later investigations and admissions asserted Sacco was directly involved in the murder but both were involved with the group. The guilt or innocence of these two Italians is not the issue that has excited the opinion of the world. Possibly they were actual murderers, and still more possibly they knew more than they would admit about the crime…. Europe is not “retrying” Sacco and Vanzetti or anything of the sort. It is saying what it thinks of Judge Thayer. Executing political opponents as political opponents after the fashion of Mussolini and Moscow we can understand, or bandits as bandits; but this business of trying and executing murderers as Reds, or Reds as murderers, seems to be a new and very frightening line for the courts of a State in the most powerful and civilized Union on earth to pursue. Prompted by the Sacco and Vanzetti case, the Massachusetts legislature passed a law in 1939 requiring a review of all evidence in first-degree murder cases. The review can result in a reduced conviction or a new trial based on the law and on the evidence or “for any other reason that justice may require.” (Mass laws, 1939 c 341). to create for the right-thinking non-Communist West… the belief that…to criticize or challenge Soviet policy was the unfailing mark of a bad, bigoted, and probably stupid person, while support was equally infallible proof of a forward-looking mind committed to all that was best for humanity and mankind by an uplifting refinement of sensibility. to instill a reflexive loathing of the United States and its people, to undermine the myth of the Land of Opportunity, the United States would be shown as an almost insanely xenophobic place, murderously hostile to foreigners. Moscow and Rome are alike in this, that they embody the rule of a minority conceited enough to believe that they have a clue to the tangled incoherencies of human life, and need only sufficiently terrorize criticism and opposition to achieve a general happiness…Neither recognizes the enormously tentative quality of human institutions, and the tangled and scarcely explored difficulties in the path of social reconstruction. We no longer want that breeding swarm of hefty sweaty bodies, without which the former civilizations could not have endured, we want watchful and understanding guardians and drivers of complex delicate machines, which can be mishandled and brutalized and spoilt all too easily. This entry was posted in Reviews & Commentary and tagged America, Babbitt, Black Tom Island, Clarence Darrow, Comintern, Espionage Act, Genesis, George Babbitt, George Follansbee Babbitt, George Soule, Herbert Croly, John Chamberlain, Leopold, Liberal, Loeb, Longread, longreads, Main Street, Münzenberg, Mencken, Nietzsche, Oliver Wendell Holmes, Progressive, Randolph Bourne, Revelation, Sacco, Scopes, Sedition Act, Sinclair Lewis, Stearns, The Open Conspiracy, United States, Vanzetti, Walter Lippmann, War to End All War, Wells, Woodrovian, Woodrow Wilson, World Safe for Democracy by Mandated Memoranda. Bookmark the permalink.